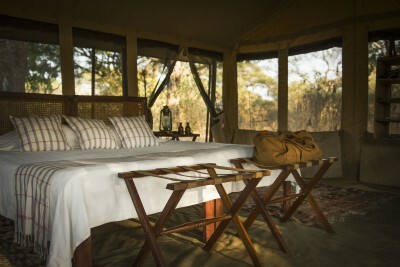 Remote and wild, Katavi covers 4,500 sq km, making it Tanzania’s third largest park. 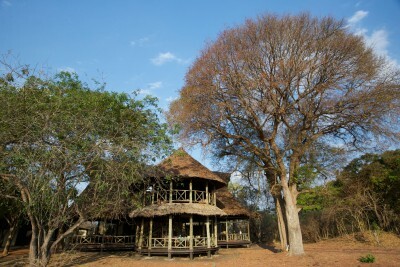 It is closed during the rains and sits on a watery flood plain that includes vast areas of miombo and acacia woodland, rivers, swamps, palm groves and shallow lakes. There is a high concentration of hippo, crocodile, buffalo, impala, eland, topi and zebra, while lion and leopard are never far away. Large herds of buffalo and other herbivores are commonplace and the park supports a particularly large zebra population. Other common species include topi, hartebeest, eland, waterbuck, impala, southern and bohor reedbuck, giraffe, warthog and the rare roan antelope still persists here. The park’s waterways also support large densities of hippo and crocodile which congregate in huge overcrowded mud pools during the dry season. Carnivores are well represented too with lion, leopard, cheetah, wild dog, spotted hyena, caracal, serval and African wild cat. The bird, reptile and butterfly diversity is also very impressive, all contributing to the park’s extra-special atmosphere.